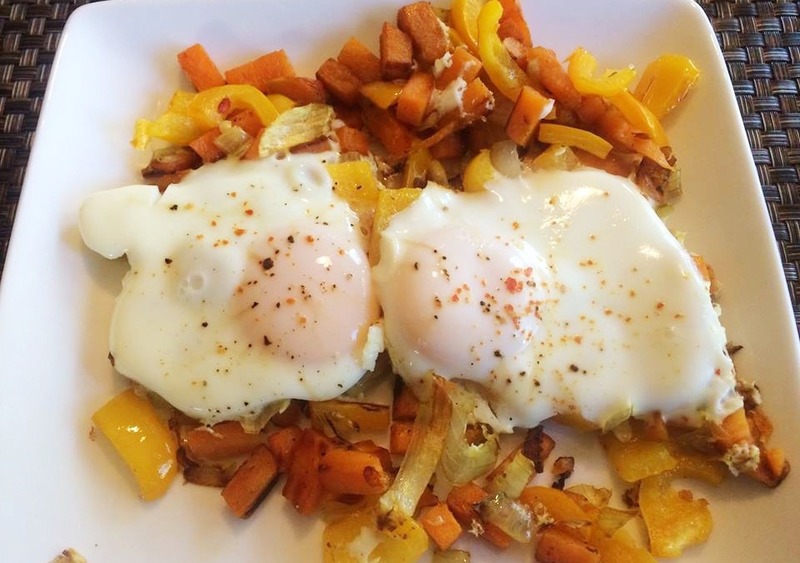 Here is a healthy protein loaded breakfast to get you going. Sweet potato are loaded with vitamins and antioxidants and a much healthier option vs regular potatoes. The eggs are loaded with protein and good fats but you need to used eggs from free range chickens. Free range chickens are ones which eat what chickens have for eternity – seeds, grubs, etc. not corn and soy meal. Red pepper powder or flakes to add a little heat. Add bell peppers and onions with remainder of coconut oil. Cook until sweet potatoes are tender. Carefully crack the eggs onto of the hash. Cover and let cook until egg whites are set and yolk is done to desired doneness.